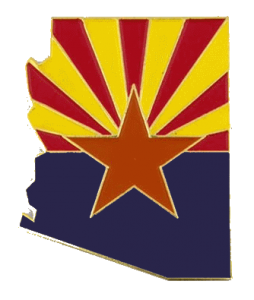 Laws 2010, Chapter 296, also known as Move on When Reading, created competency requirements that prohibit the promotion of a student from the third grade if the student’s reading score falls far below the third grade level on the Arizona Instrument to Measure Standards, or a successor test. Arizona Revised Statutes § 15-701 provides exceptions to Move on When Reading requirements for reasons including good cause exemptions for certain English Language Learner or limited English proficiency students or students with disabilities whose parent or guardian agrees that the student’s promotion is appropriate based on an individualized education program. Students who are not promoted are provided with intervention and remedial strategies for improvement developed by the State Board of Education (SBE). Have been diagnosed as having a significant reading impairment, including dyslexia. Requires SBE to adopt rules allowing certificated teachers and administrators to count training for the screening, intervention, accommodation, use of technology and advocacy for students with reading impairments, including dyslexia, as continuing education credits. Defines dyslexia as a brain-based learning difference that impairs a person’s ability to read and spell, that is independent of intelligence and that typically causes a person to read at levels lower than expected.